Spark plug manufacturer and anti-parasite NGK. 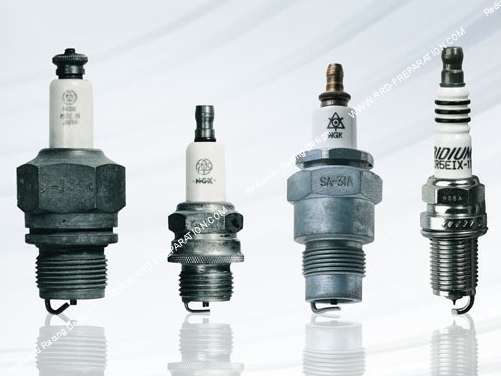 In standard NGK (which we separated from NGK RACING) you will find the spark plugs and antiparasitic relatively standard ignition. NGK knows how to make high quality, a fairly huge choice for a very decent rate. The company NGK Spark Plugs (France) SAS coordinates all French activities of the Japanese group NGK Spark Plug Co., Ltd. whose headquarters is based in Nagoya. The NGK Spark Plug CO., Ltd. was created 11 November 1936 with an initial capital of 1 million Yen. A year later the young company gives its first spark plugs. The group operates worldwide through numerous sales offices, distribution platforms, production facilities and test technical centers. 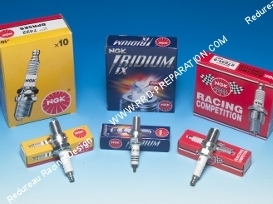 Today NGK is the world leader in spark plugs and oxygen sensors. Each year, the NGK brand produces and sells more than 700 million spark plugs. The company is a leader in original equipment of new vehicles and plays, through its glow plugs, a leading role in the segment of diesel engines. (Direct source site NGK).